Get coached by an experienced team of coaches headed by Mr. Aruna De Silva who is an England & Wales Cricket Board & Cricket Australia qualified level III coach. He has also been the former Qatar National Coach & Selector and has more than 20yrs coaching experience. Cricket has a number of health benefits including coordination, balance, and flexibility. Also running when batting and fielding, increases the stamina through cardio, which is great for overall physical fitness. The coaches will improve your overall skills & focus on the preferred area of batting, wicketkeeping, fielding, pace bowling, spin bowling etc. This coaching is open to all levels of experience (beginners, intermediate or advanced) in the game. One-time registration fee of QR300 has been waived off for Qgrabs vouchers holders. 50% off learning the game of Cricket! 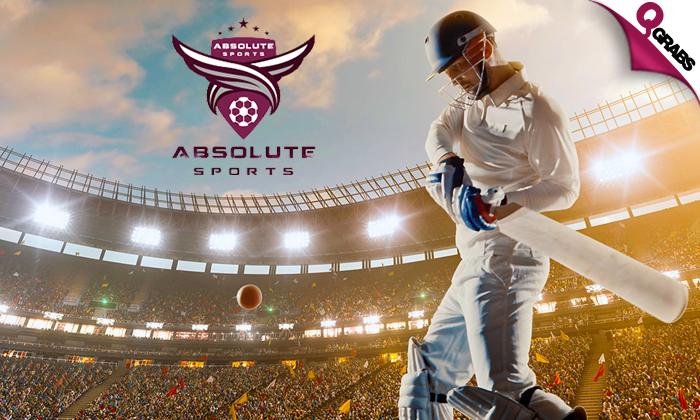 Absolute Sports Academy, since its inception, has been a leader in training world-class athletes from a young age. Many students have found immense success in national levels of any sport they choose to follow. Through specific systems and disciplines, they have incubated many athletes who will soon make their mark on international levels in major leagues of sports like football, cricket etc. At ASA, they’ve have designed a unique system which helps in understanding the student’s interests and training them to make a career in sports. They analyze each student’s unique capability and help them in achieving a dream that every kid has. At ASA, they’ve have designed unique programs which shall help the kids stay fit and in turn help them concentrate much better on their studies, with the help of parents, teachers, counselors, and guides.